G’mar Chatimah Tovah ~ May You Be Sealed For A Good Year! Kol Nidre, an Aramaic song, whose unforgettable melody ushers in the holiday of Yom Kippur, allows Jews to take back promises that could not be fulfilled or were made under force. It performs the psychological function of allowing Jews to clear their conscience of promises of a personal nature that could not be kept. In the historical sense, it was created in the Middle Ages to permit Jews who were forced to convert to Christianity to return to the faith of their ancestors. Rabbi Angela Warnick Buchdahl joined Central Synagogue as senior cantor in 2006. In 2014, she was chosen by the congregation to lead Central Synagogue as senior rabbi. Here she sings Kol Nidrei. Translation: All Vows, prohibitions, oaths, consecrations, vows that we may vow, swear, consecrate, or prohibit upon ourselves- from this Yom Kippur until the next Yom Kippur, may it come upon us for good – regarding them all, we regret them henceforth. They will all be permitted, abandoned, cancelled, null and void, without power and without standing. Our vows shall not be valid vows; our prohibitions shall not be valid prohibitions; and our oaths shall not be valid oaths. Listen to Kol Nidrei Musical Traditions From East to West: Sephardi, Moroccan, Yemenite, Koenigsburg, Berlin. Yom Kippur occurs 10 days after Rosh Hashanah. It is a time of continued reflection, a time to examine human behavior. History has taught human beings to rely on themselves for creating change in our society. 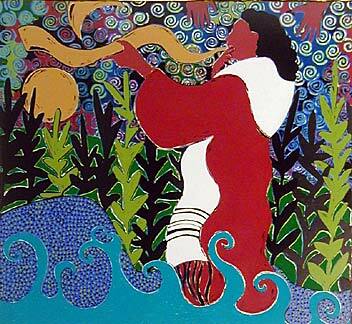 Yom Kippur is the culmination of our examination of our behavior begun on Rosh Hashanah. It is a time to reflect on the moral quality of our values and actions. Yom Kippur a celebration of inner strength and a time of self-forgiveness. Introspection and goal setting are traditional behaviors on the High Holidays. There are three key elements to for Yom Kippur: teshuva, tefilla, and tzedaka. Teshuva is a Hebrew word, usually translated as “repentance,” but which actually means return. Teshuva is the action of returning to our values and ideals, renewing our commitment to the highest standards of our ethics. Tefilla is traditionally translated as “prayer,” but comes from a word that means self-reflection. Tefilla directs us toward self-evaluation. Tzedaka usually signifies “charity,” but the deeper meaning conveys what kind of human beings we wish to be: tzadikim, or people who embody the highest ideals of the Jewish people. Teshuva, tefilla, and tzedaka – meaning a return to our ideals, self-reflection, and puttingour ethics into action . May All Of Us Be Listened To & Embraced & Welcomed & Supported In The Coming Year!